Heading into her second year, forward Neila Luma is expected to play a commanding role at the center of the action for the Colonials. Head coach Jennifer Rizzotti said she has to remind herself every day that her stand out forward is just a sophomore. Neila Luma found herself in the starting lineup for the Colonials last year, where she fought for a team-high 217 rebounds in her freshman campaign. Now heading into her second season, the quiet, focused forward is expected to play a commanding role at the center of the action for the Colonials. Rizzotti said she will count on Luma to rebound and score as she is the returning underclassman with the most experience – averaging 26.9 minutes per game last year. But as a top returner on the court, Luma will be forced to raise her voice to help lead an inexperienced squad. The head coach began recruiting Luma when she was just a freshman in high school and Rizzotti was still leading the squad at Hartford, Luma said. Rizzotti then extended an offer to Luma when she was hired at GW two years ago, and Luma decided to follow her, she said. 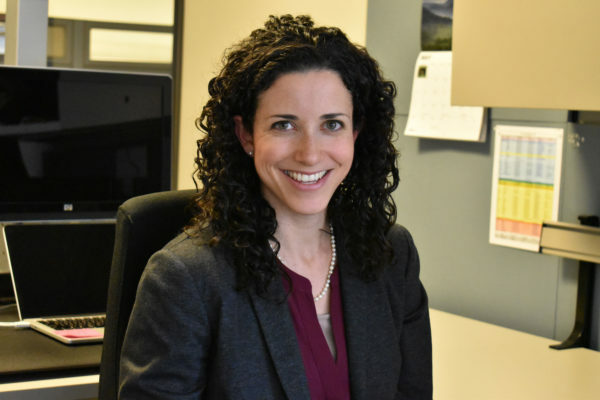 “When she made her transition here, she told me that she still wanted me and I was like, ‘I love this school, I love the area, I love her,’” Luma said. 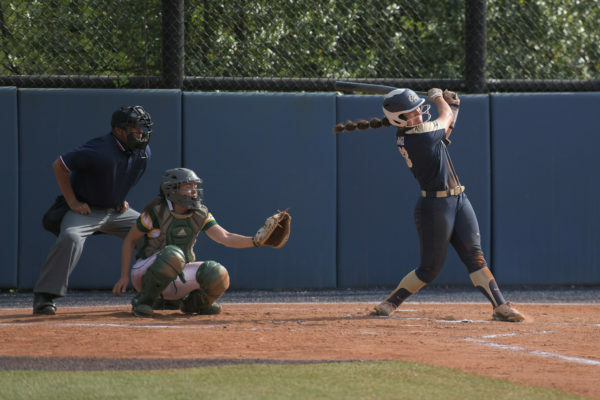 With her second season under Rizzotti about to start, Luma said she was able to “learn what this program is all about” and gain confidence in herself playing under Rizzotti, which contributed to her successful first year in the program. “She has put a lot of confidence in me and she’s told me many times that I just can’t doubt myself,” Luma said. 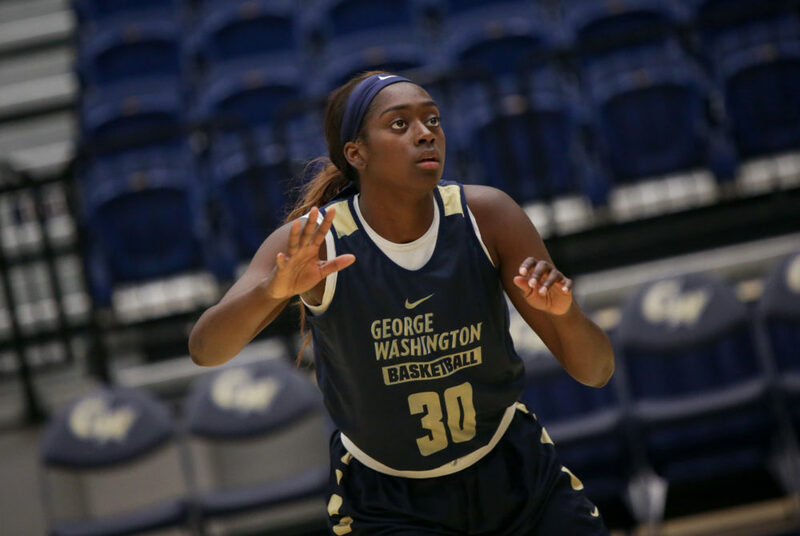 Luma was anticipated to contribute right away and quickly became an integral part of the women’s basketball team under the glass, starting all but two games for GW last season and recorded 217 rebounds to make her the second-best freshman rebounder in the conference. Employing her athleticism and versatility, Luma has been able to carve out a coveted position on the squad as player who can take on various roles. Although she is rostered as a forward, her speed allows her to slide into the guard position. When practices began this fall, Rizzotti began pushing Luma to speak up on the floor to take her game to the next level. Luma said recently in a play-calling drill in practice, freshman guard Maddie Loder was calling plays on her own when Rizzotti shouted to Luma from the sidelines to step in and take more control. Despite not being the loudest voice on the court, Luma’s work ethic and quiet presence on the court speak volumes to her teammates. Freshman center Kayla Mokwuah said Luma has been instrumental in leading by example to show underclassmen what is expected of a player in the program. “She’s definitely a more quiet leader compared to someone like Mei, but how she does lead is with her actions and how she plays – constantly working hard, constantly hustling,” Mokwuah said. Freshman guard Tori Hyduke said as a new player, she appreciates the example Luma has set for her recruiting class, but would like to see her be more vocal on the court once the season starts.